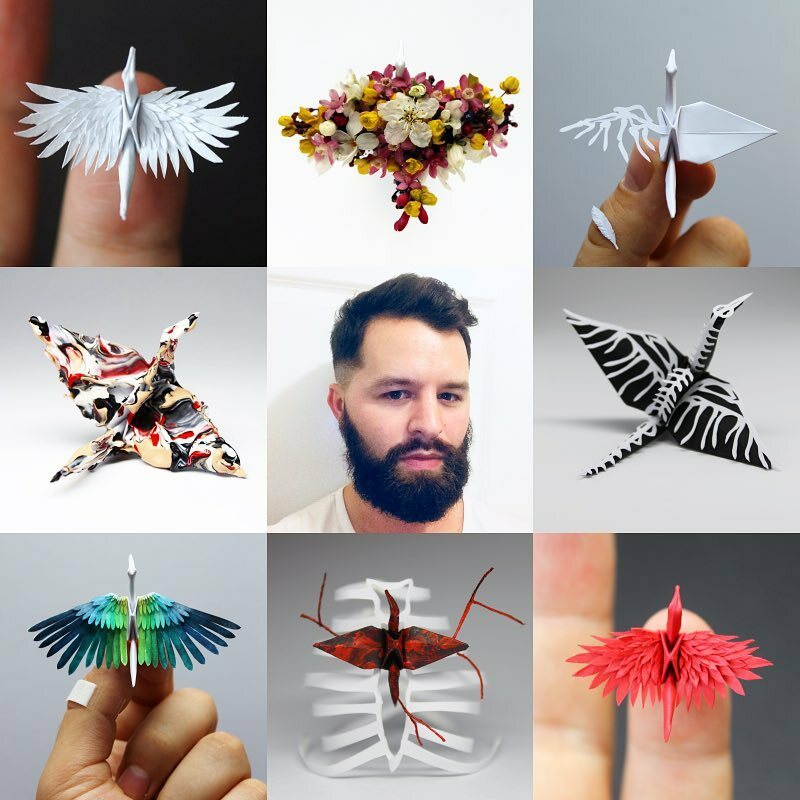 In 2015, paper artist Cristian Marianciuc set an ambitious goal for himself: to complete 1,000 origami cranes in 1,000 days. 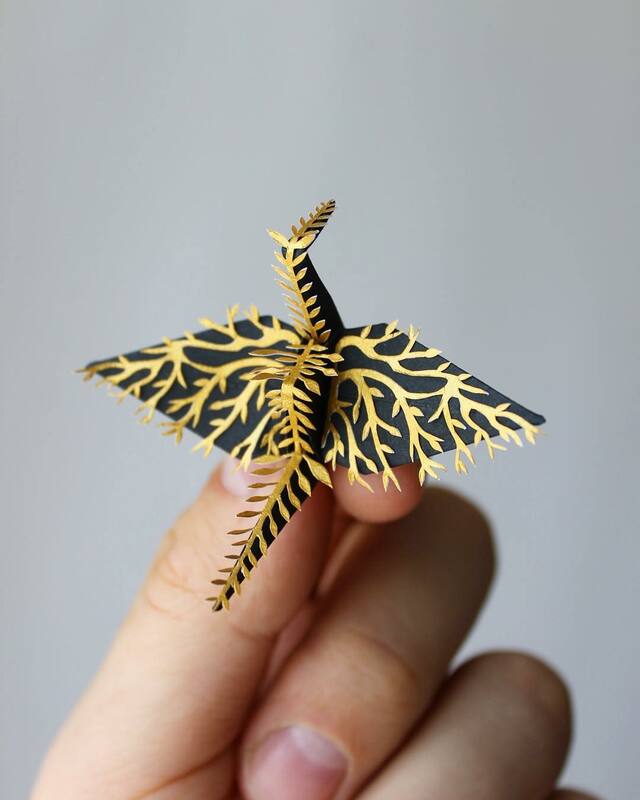 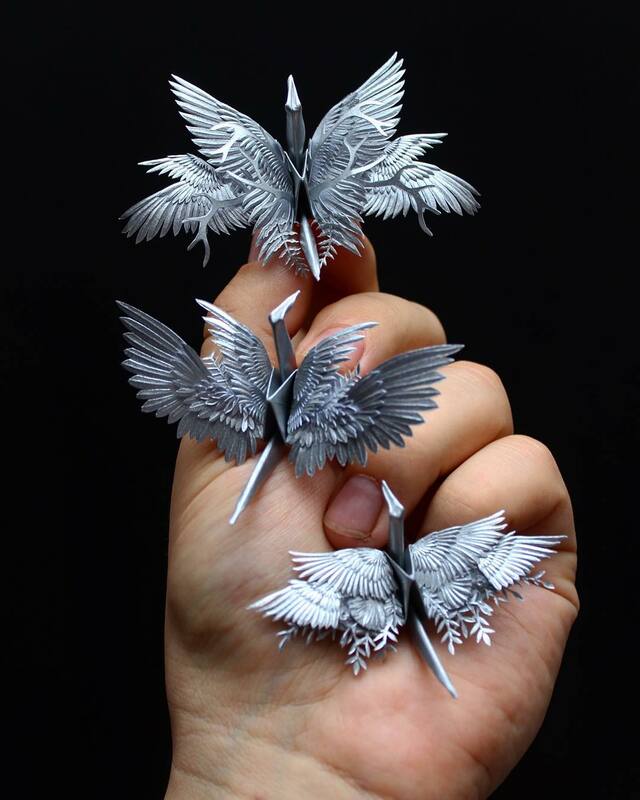 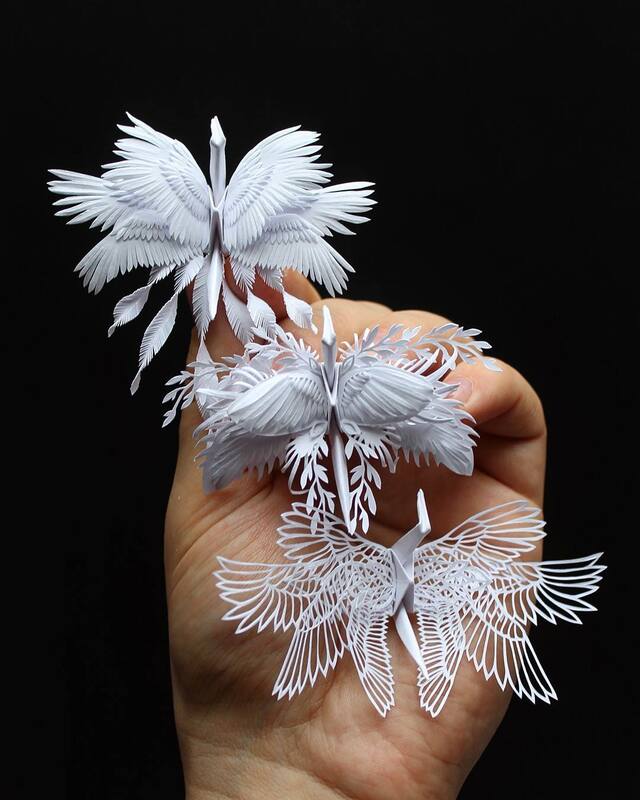 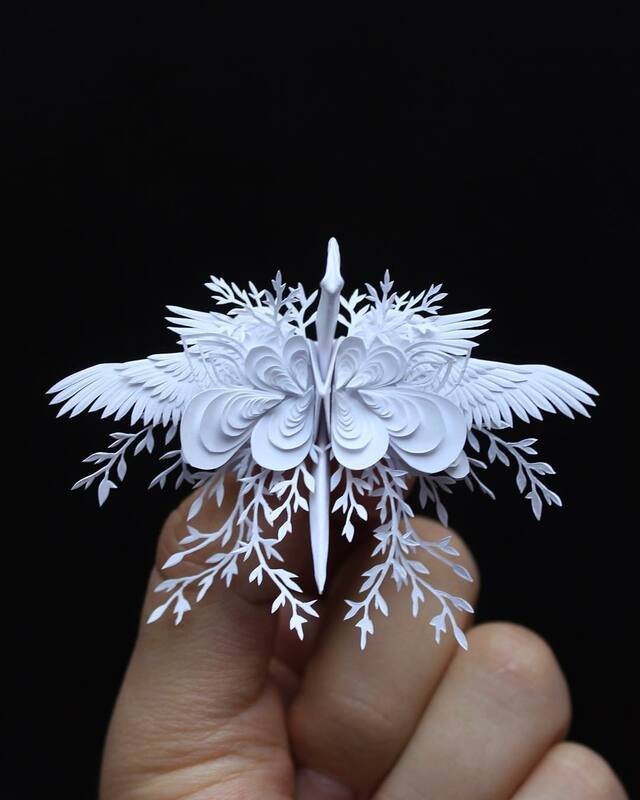 Since achieving this objective, Marianciuc has continued crafting the cranes, culminating in a growing collection of equally elaborate and increasingly experimental paper sculptures. 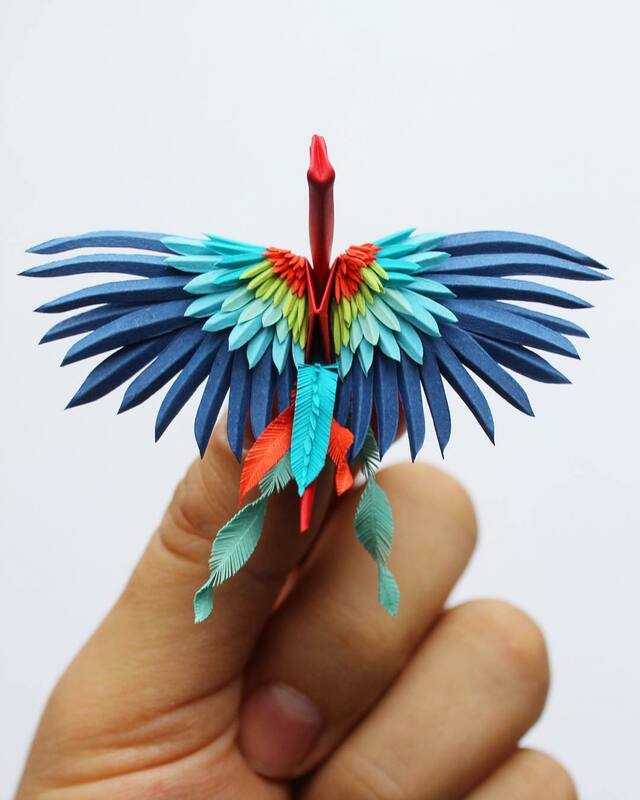 Like the pieces he created during his 1,000-day challenge, Marianciuc’s more recent cranes showcase his eye for detail, creative use of color, and imaginative approach to traditional origami. 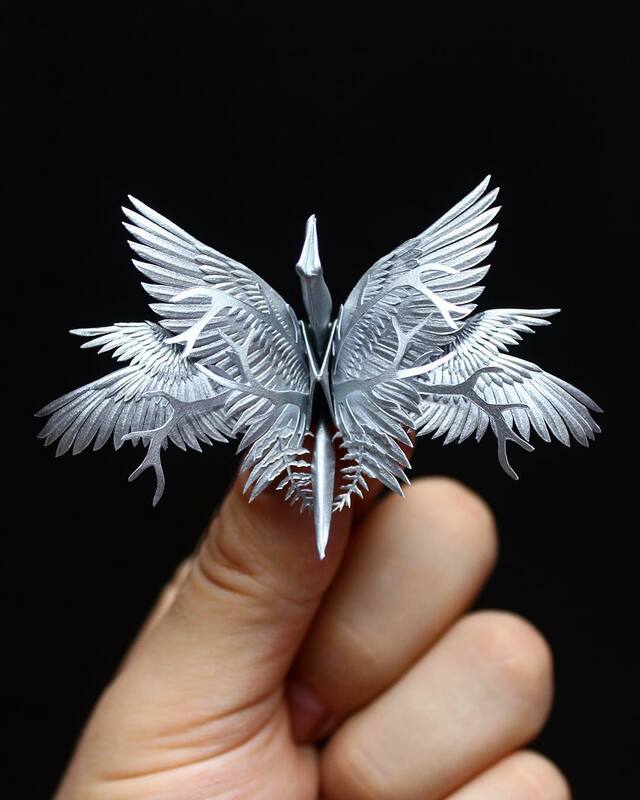 However, without the pressure of filling a quota or meeting deadlines, he is able to play around with his artistic approach, setting these piece aesthetically apart. 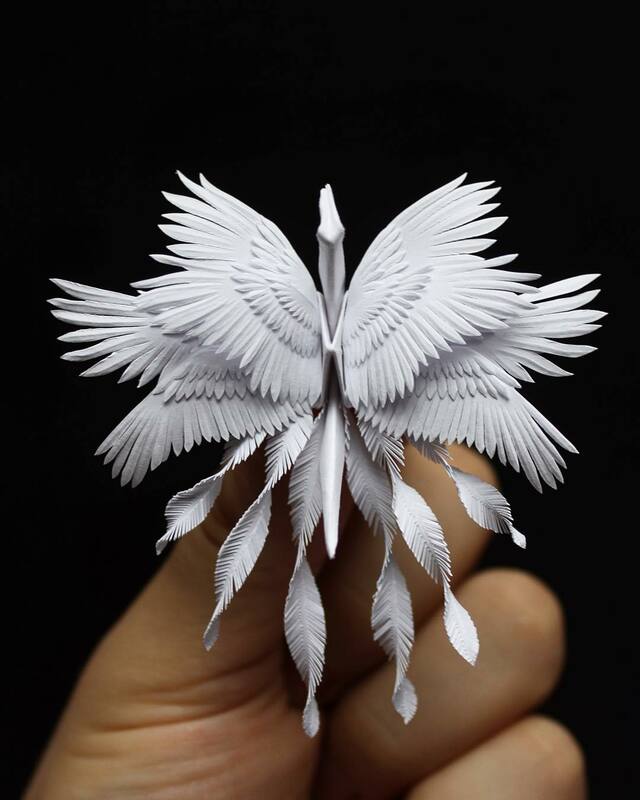 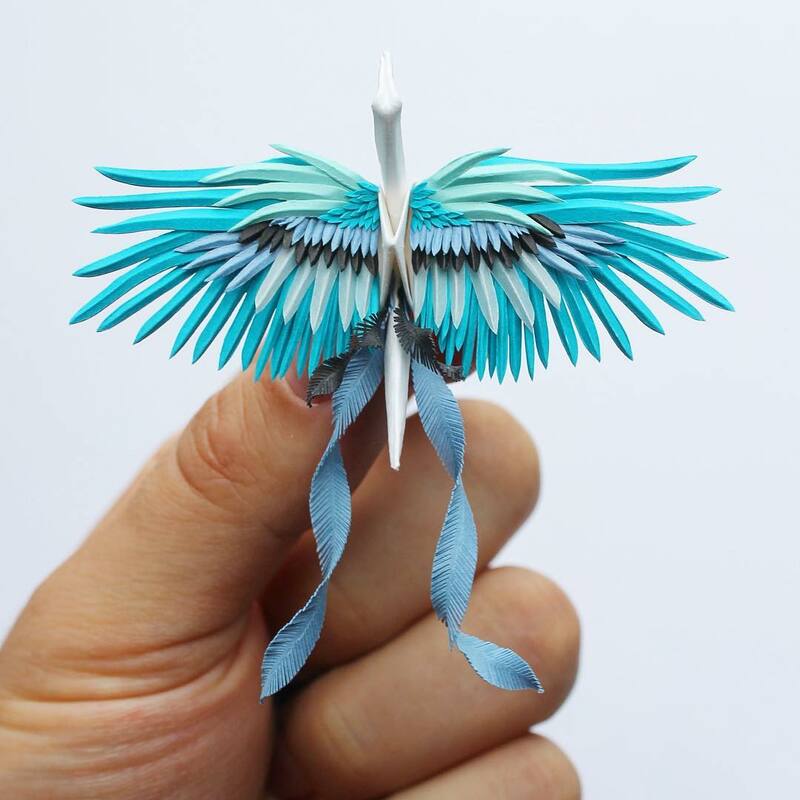 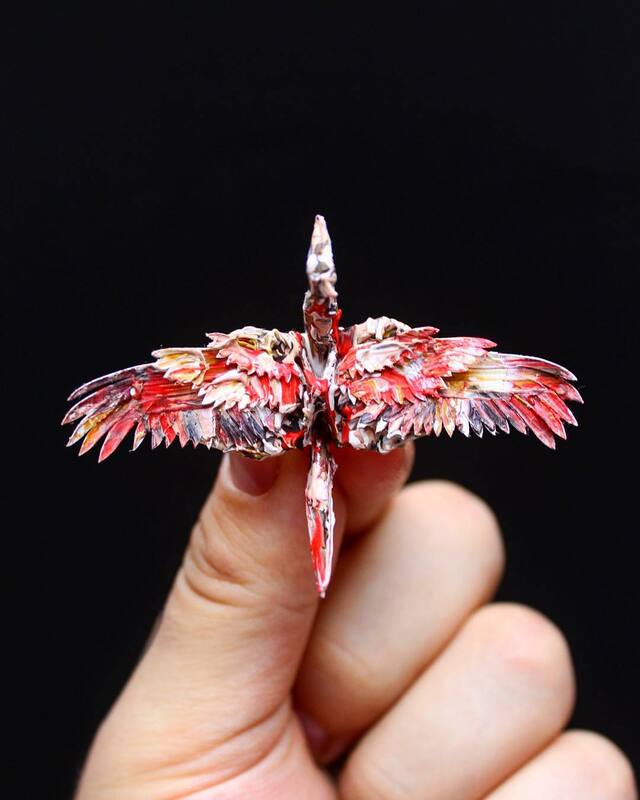 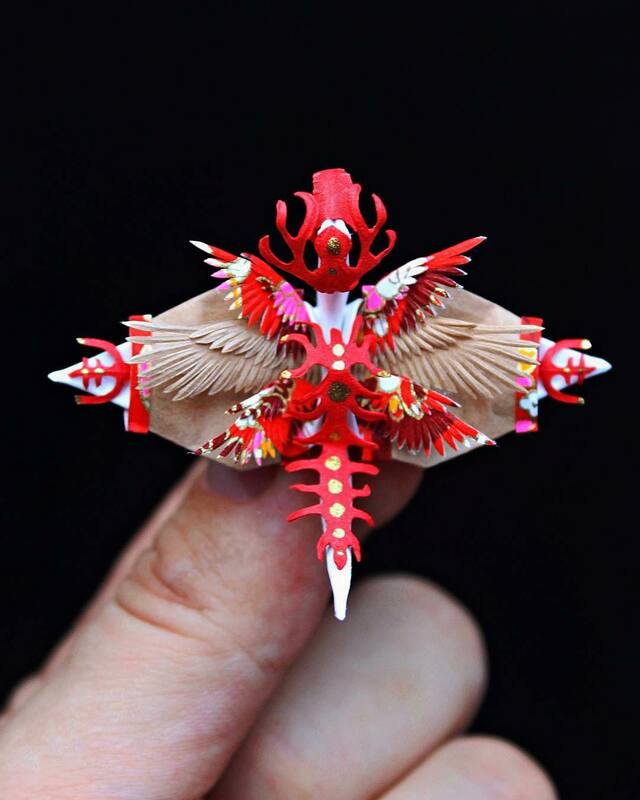 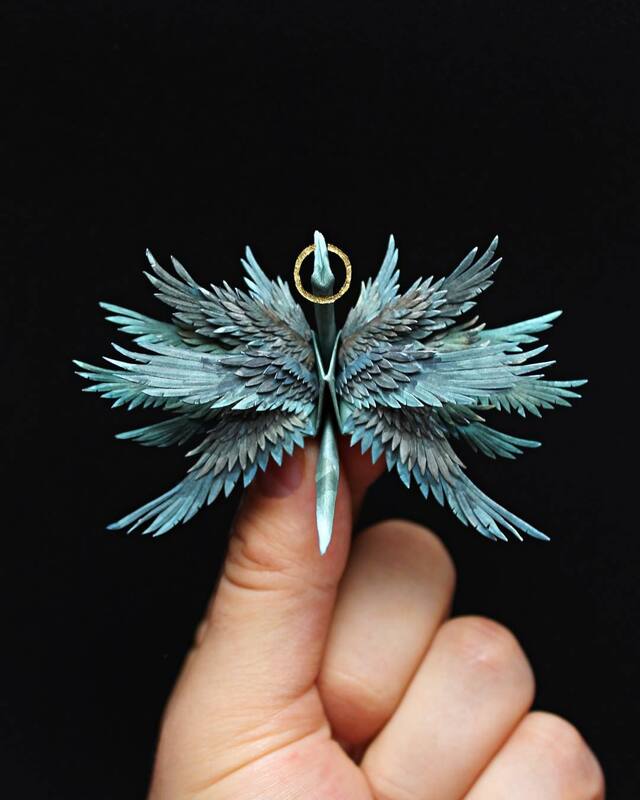 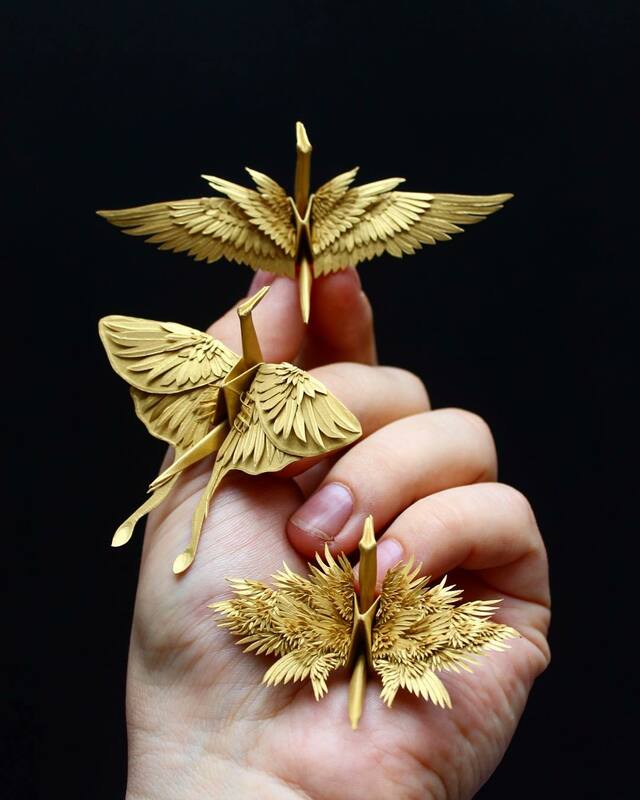 While Marianciuc has also divulged that he will soon be starting a mini-series inspired by Japanese folklore, he also assures us that he has no plans of cutting out his crane practice.”I’m still just as fascinated with the art of origami, its symbolism and history, still as obsessed with flight and wings and feathers. 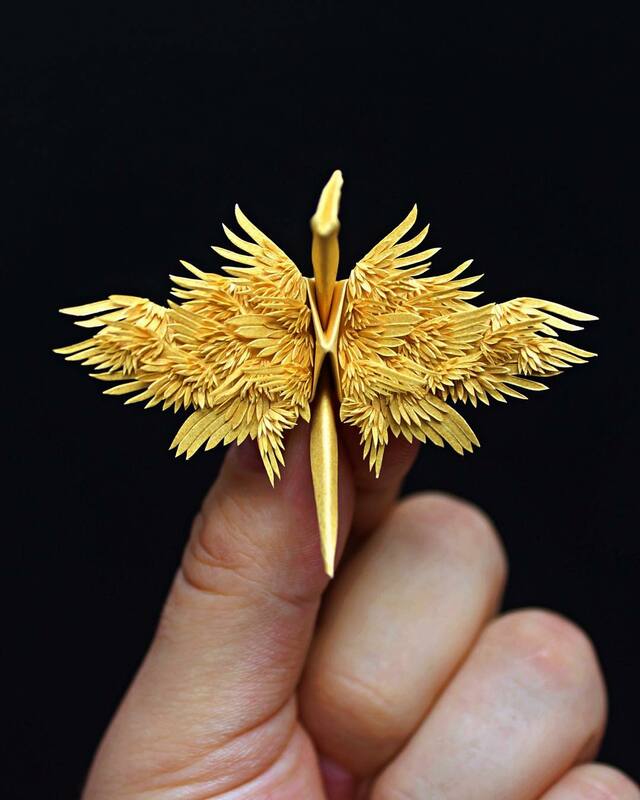 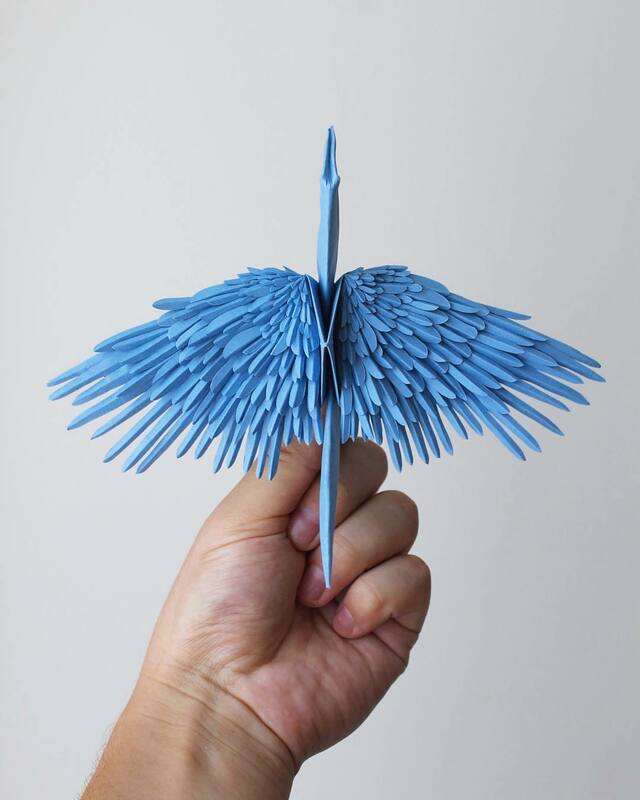 I thoroughly enjoy giving myself the time to create at a slower pace, and I am finding that I am able to listen much more closely to my instinct.” And be sure to check beautiful origami by Jaroslav Mishchenko.